VANCOUVER, BC – R&B Brewing has announced details of the latest in its Mount Pleasant Series of limited edition beers named for the East Vancouver neighbourhood where the brewery has been located since opening in 1997. A balanced trifecta of tropical tartness, fruity sweetness and a light saltiness make this kettle-soured Gose a refreshing and session-able summer beer. 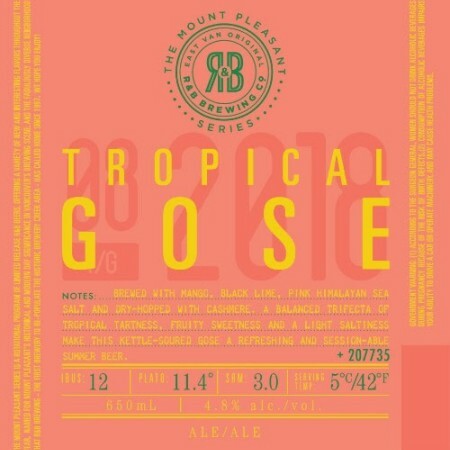 Tropical Gose is available in 650 ml bottles and growlers at R&B, in bottles at private liquor stores, and on tap at select local establishments while supplies last.